"One of the priorities is aquiculture. We signed an agreement of cooperation in this field with our Norwegian partners", said Alexei Tyukavin, vice-governor of the Murmansk region. 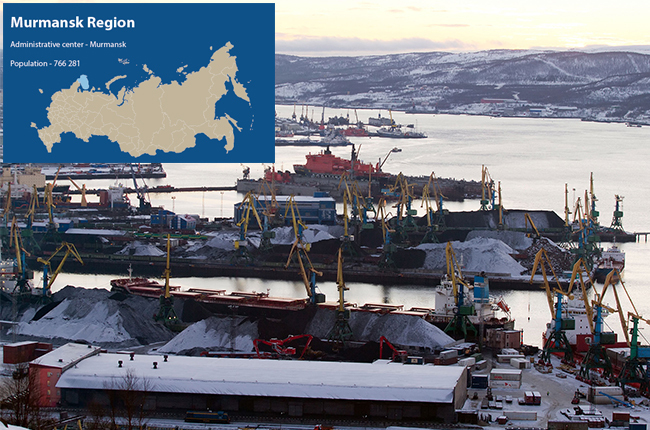 Murmansk Region has long-established ties with neighboring countries Norway, Finland and Sweden. Our aim is to create a full-cycle enterprise, which will include fodder production, young fish breeding, fish processing and distribution. By 2020 Murmansk Region will substitute 40% of fish imports from Norway. Now we are focused on two big projects by Russian companies — "Russian Salmon" and "Russian Aquiculture." The gross amount of fish breeding is 14 000 tons per year, and by 2020 we expect to increase it by 50 000 tons per year.